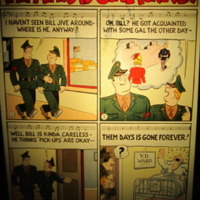 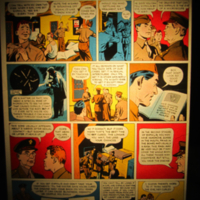 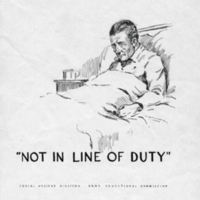 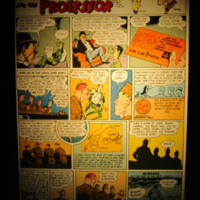 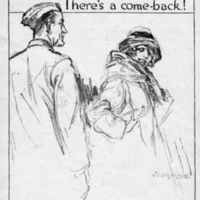 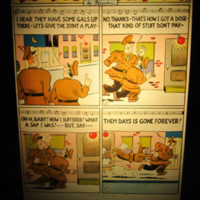 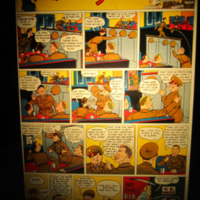 "Them Days is Gone Forever"
This comic poster shows two servicemen considering a visit to a brothel. 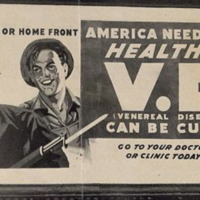 One advises the other against it, explaining how he earlier contracted VD. 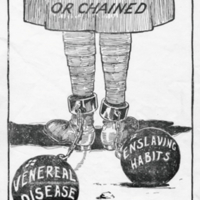 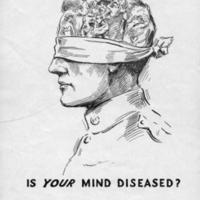 "Will You Be a Free Man or Chained"
This poster shows the feet of a soldier chained by "venereal disease" and "enslaving habits." 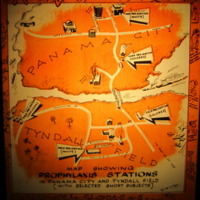 This poster shows the locations of prophylactic stations in Panama City and Tyndall Field. 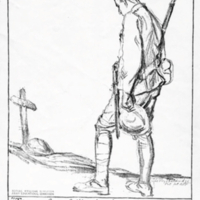 There are stations for separate stations for African American and white soldiers and officers. 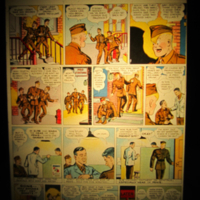 The border has cartoon images of servicemen and pick-ups. 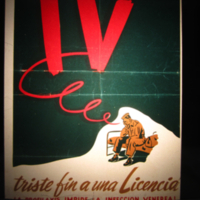 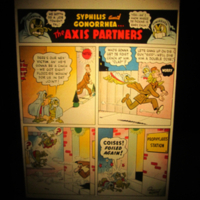 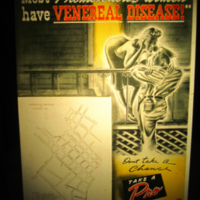 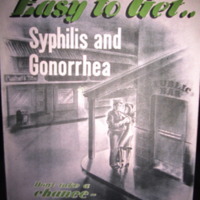 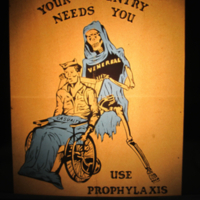 "Defend Yourself Against Venereal Disease, Take a Prophylaxis"
"Easy to Get..Syphilis and Gonorrhea"
"Don't take a chance--Take a Pro"
This poster warns that venereal diseases are easy to get. 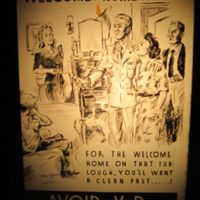 It shows a serviceman outside a bar with a woman. 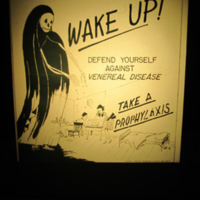 A prophylaxis station is across the street.